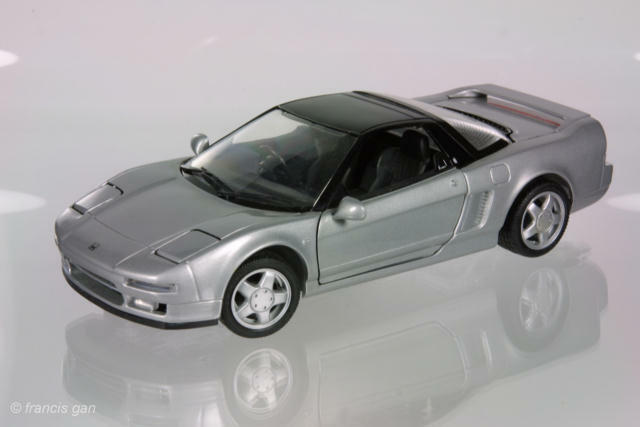 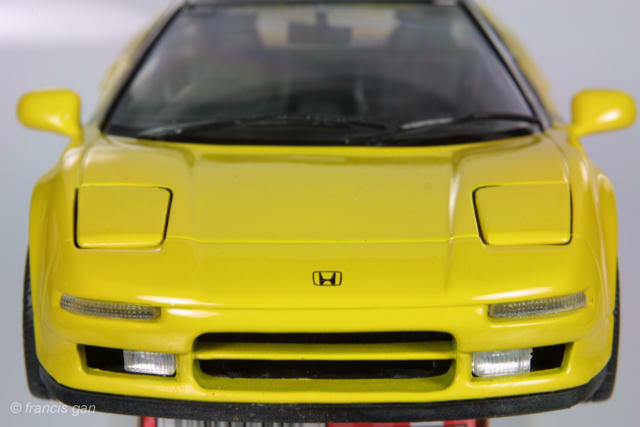 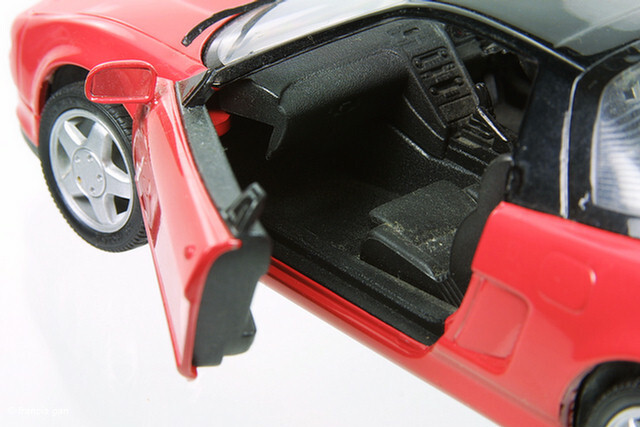 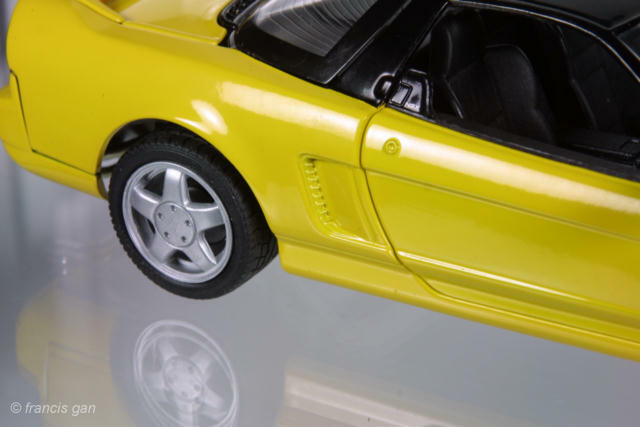 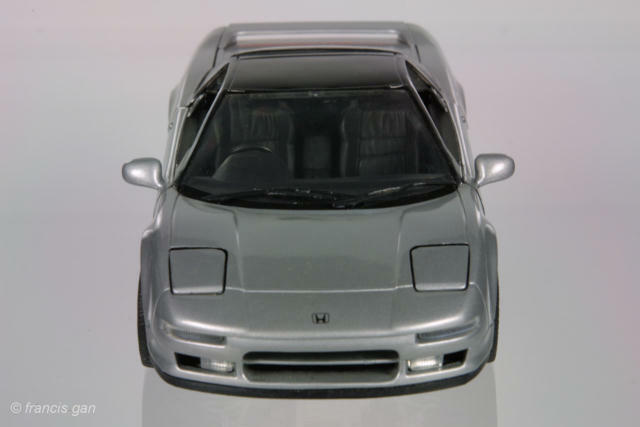 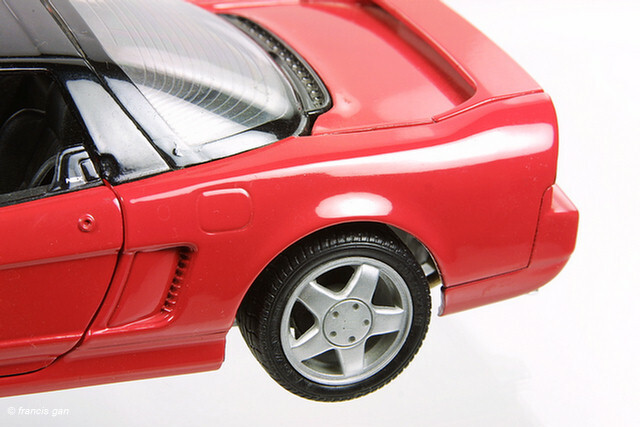 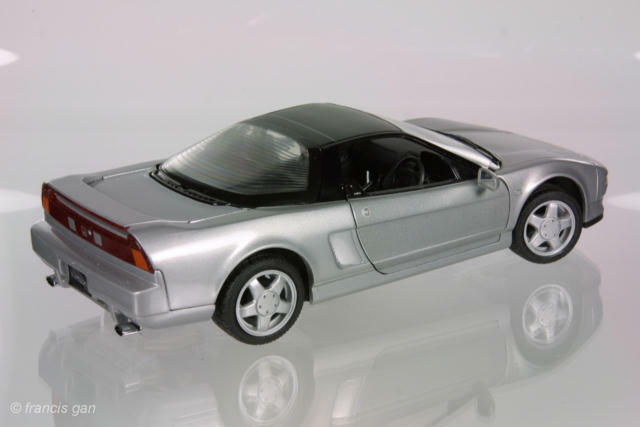 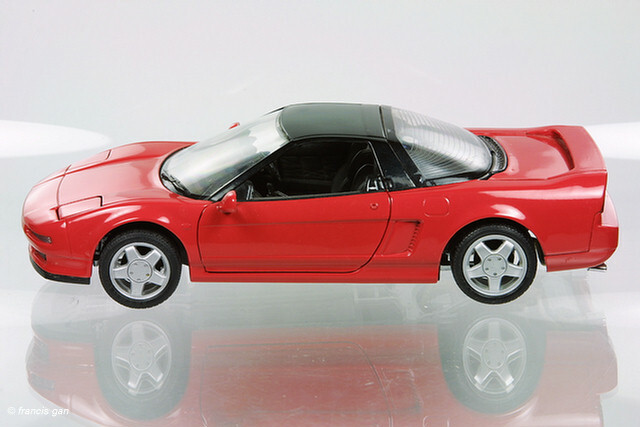 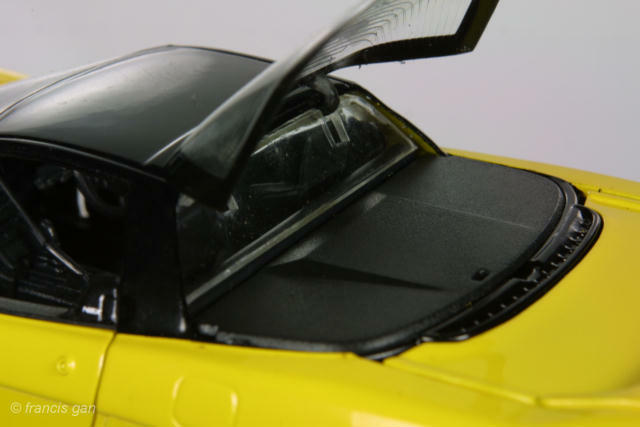 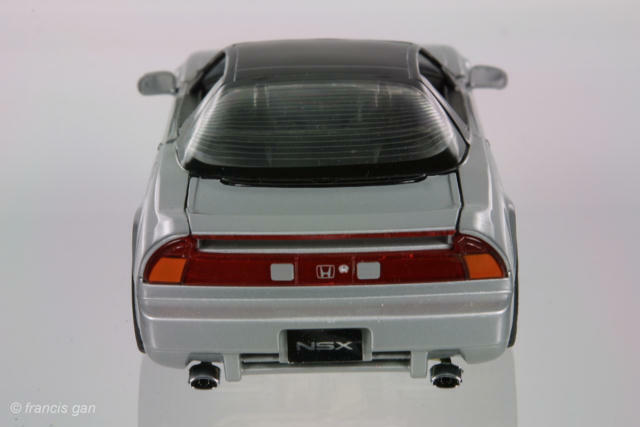 Joueff OEM'd the Kyosho NSX at a lower level of finish. 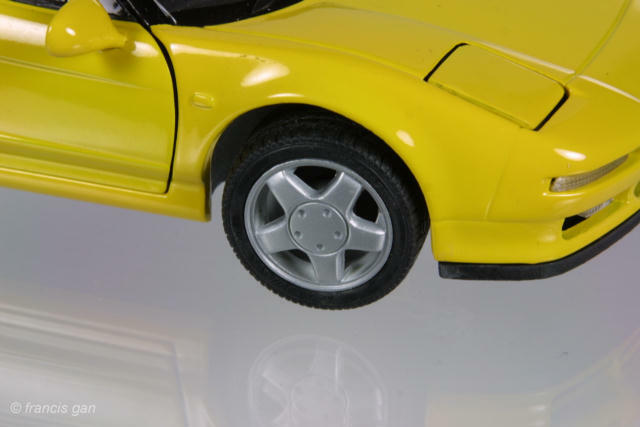 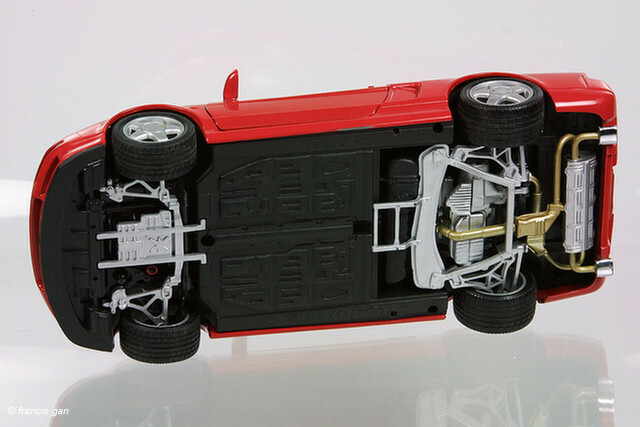 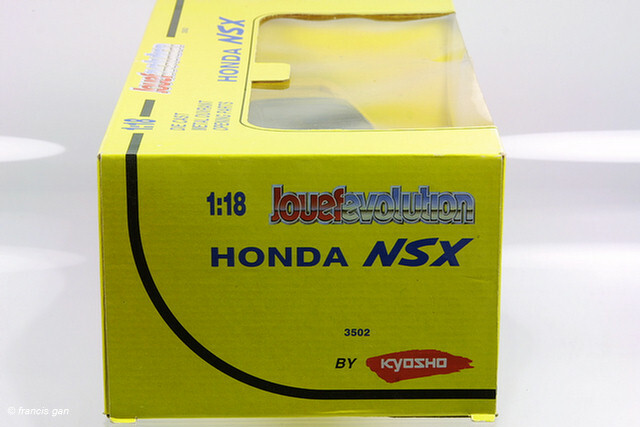 For the most part they share the same details with the Kyosho NSXs with the following exceptions: no carpeting in cockpit, trunk or engine cover, no "H" logo on wheel center caps, lack of engine cover hold up stick, side intake is body colored instead of black, unwaxed paint. 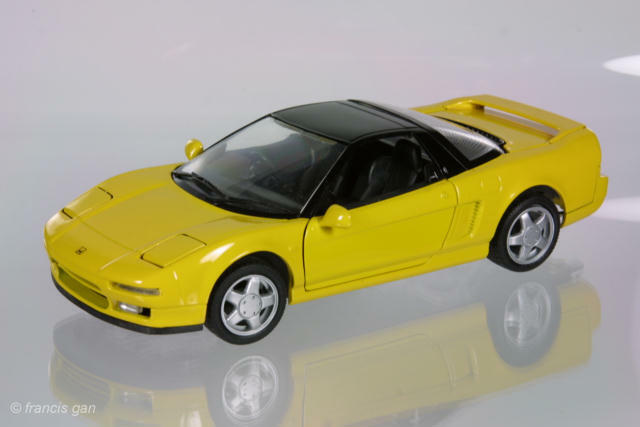 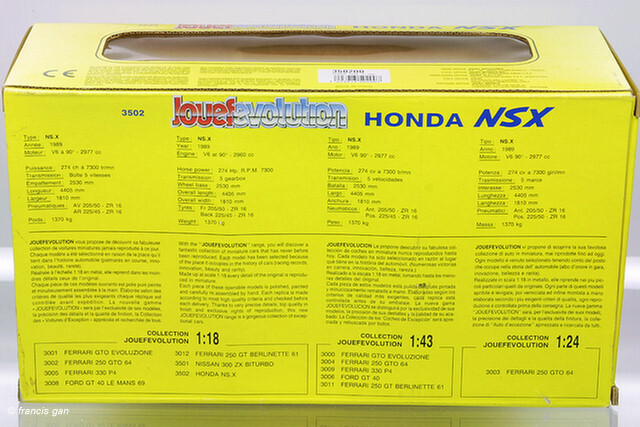 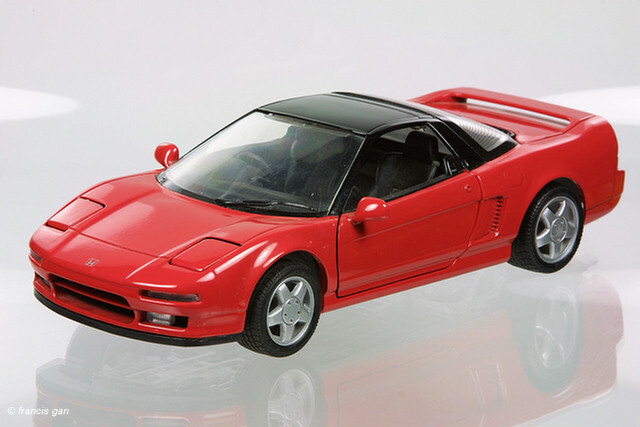 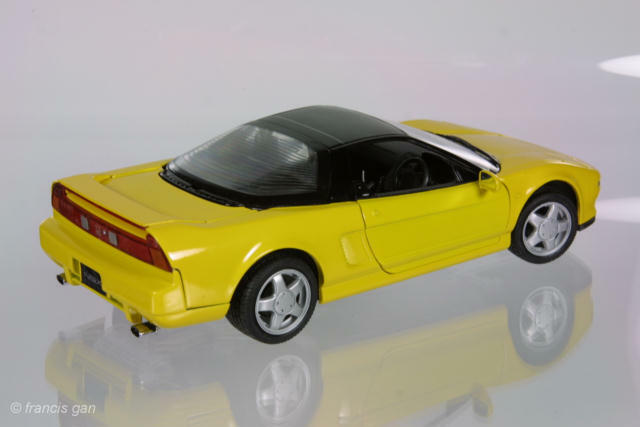 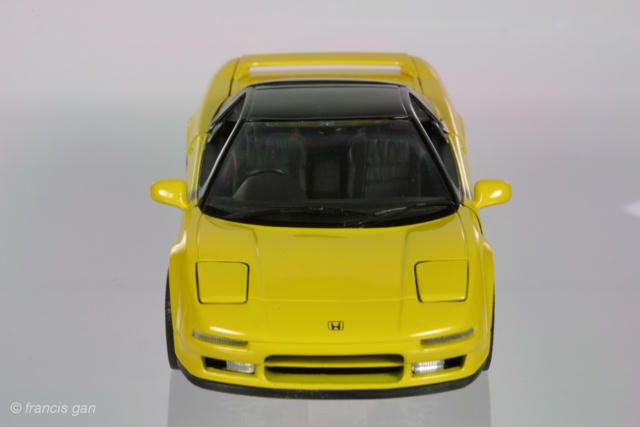 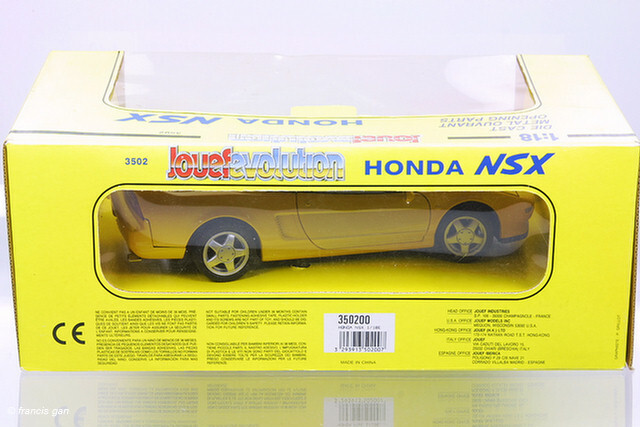 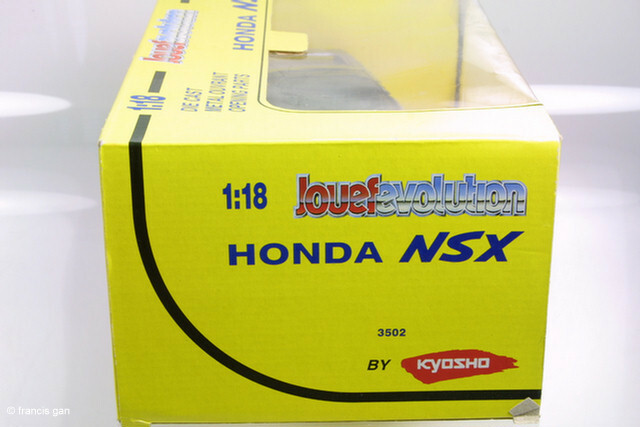 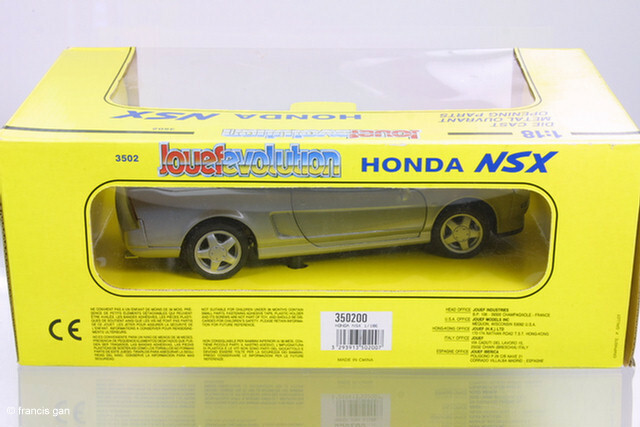 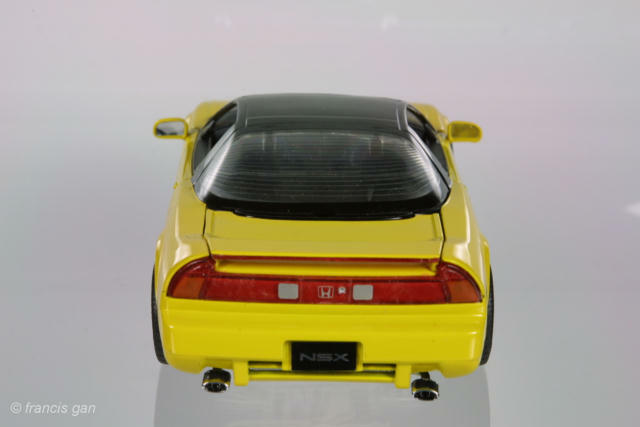 Joueff released it's version of the NSX in a yellow windowed box at a price point about 30-40% less than the Kyoshos. 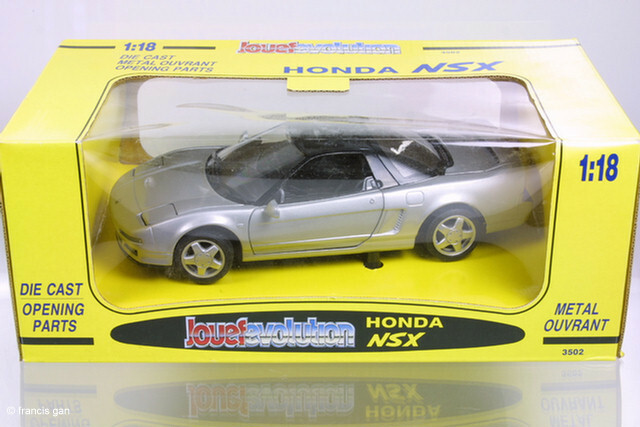 However, these days they seem to be rarer. 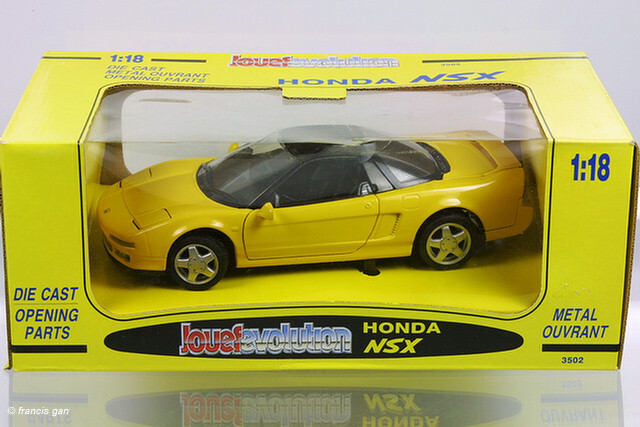 The Joueff NSXs came in Red (still looking for one to add to my collection), Silver and Yellow (not available in the Kyosho version).